According to our guest reviews, ibis Brugge Centrum offers an excellent location in the heart of Bruges. Near the hotel you will find attractions like the diamond museum, the Belfry Tower and the Lake of Love Minnewater. Explore the lovely city of Bruges and relax at ibis. 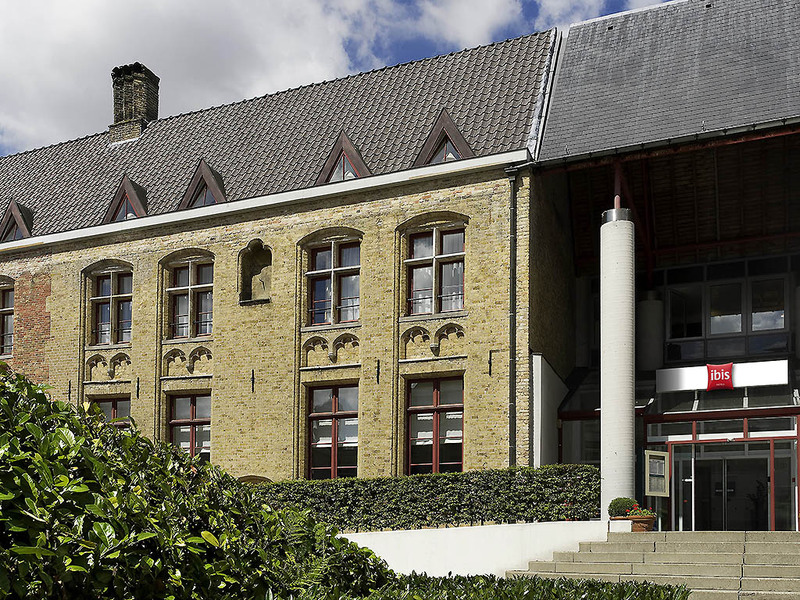 Ibis Brugge Centrum is located in an ancient medieval building in Bruges' city centre, a few minutes away from the Bruges train station. Close to the hotel, you can visit the Belfry Tower, the Church of Our Lady and the Lake of Love Minnewater. Our hotel contains 128 rooms, has a bar open 24/7 for snacks, public indoor paid-parking and a restaurant offering regional specialties. Our guests can also enjoy the free WiFi Internet access. The hotel is located in Bruges' city centre and is easily reachable from the city's bypass and by public transport. The railway station is within walking distance and the bus stop at the Church of Our Lady is only 400m away.